Uses: College, Health Care Colors: Browns/Tan/Beige Lengths: 13 panel 24'-1", 5 panel 9'-5" Heights: 6'-0"
The College of New Rochelle School of Nursing in New Rochelle, New York offers an intensive bachelor’s nursing program. The school boasts four hands-on laboratories in their Learning Resource Center. 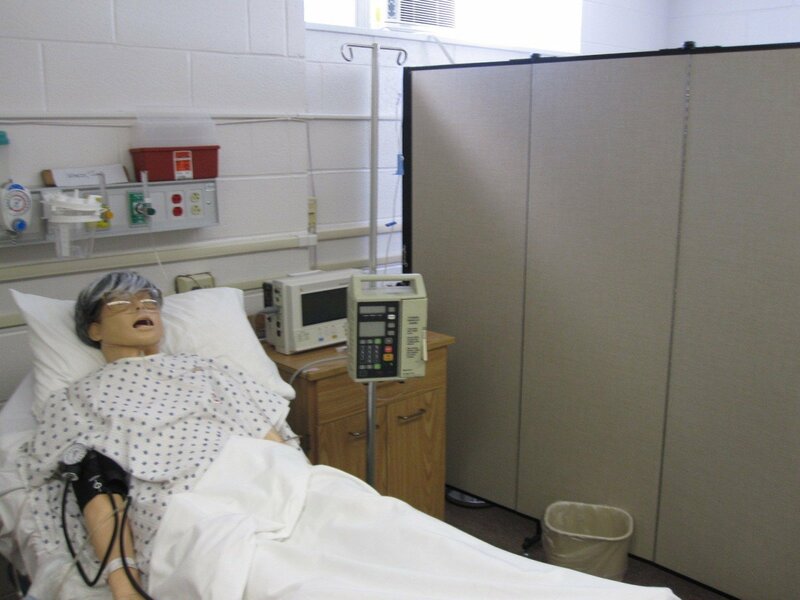 Two areas are fully equipped laboratories for students to practice nursing skills while the other two labs are used as clinical simulations rooms with interactive mannequins. 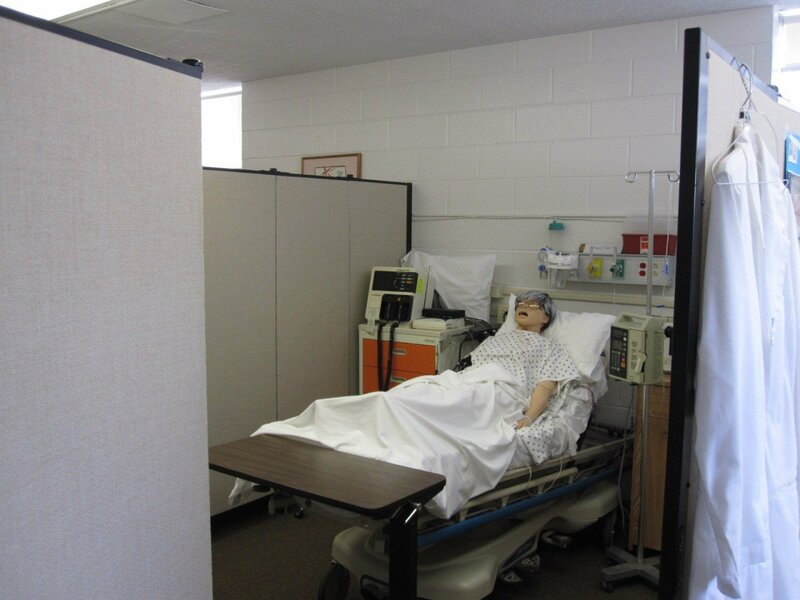 The school uses Screenflex Room Dividers to separate their simulated patients much like in a hospital. 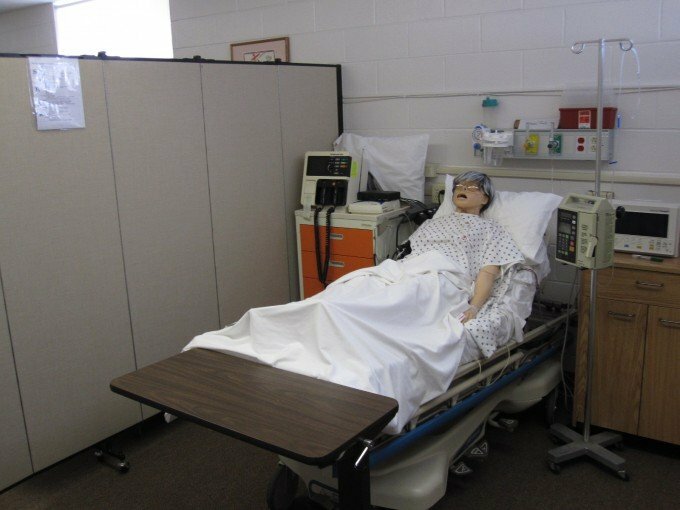 ” They (Screenflex Dividers) are wonderful because we can move them when needed”, adds a New Rochelle School of Nursing staff member.